Lohscheller will be tasked with making Opel profitable by 2020. MUNICH -- Opel's new CEO, Michael Lohscheller, faces the tough challenge of bringing sustainable profitability to the automaker after its sale to PSA Group by General Motors is completed. PSA CEO Carlos Tavares wants Opel and its UK sister brand Vauxhall to show a profit in 2020 at the latest, with operating margin goals of 2 percent that year and 6 percent by 2026. To cut costs, Tavares wants to increase synergies between PSA and Opel in the areas of purchasing and logistics. Lohscheller, 48, is well suited to the task. He is a "numbers guy" who has served as Opel's chief financial officer since 2012. Before that he had a similar post with Volkswagen of America. The German executive began his automotive career in Daimler's logistics department. Lohscheller will take over from current Opel CEO Karl-Thomas Neumann, 56, when the sale to PSA is completed. That could be as early as July 31. Tavares praised Lohscheller for his deep knowledge of the company and his understanding of the needs of international markets. Tavares said his personal interactions with Lohscheller have been "extremely positive." Lohscheller "will be surrounded by Opel's best talents to bring Opel/Vauxhall to new horizons for the benefit of its employees, customers and partners," Tavares said in a statement on Monday. After the deal to buy Opel is completed the new management will have 100 days to present their strategy for the Germany-based automaker's profitable future, Tavares told the Frankfurter Allgemeine Zeitung. Neumann's plan to turn Opel into an electric-car only brand now appears to be off the table. While Neumann sees Opel's sale to PSA as the right strategic step, he is concerned that the new owner is underestimating the growing importance of electric cars, sources told the Frankfurter Allgemeine Sonntagszeitung at the weekend. 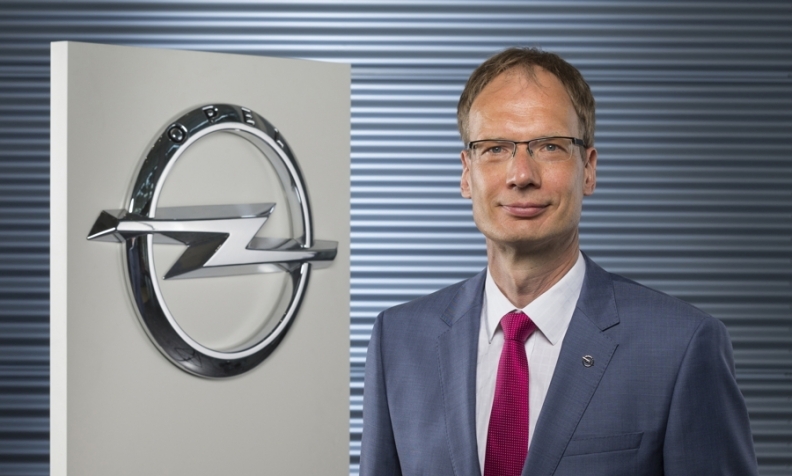 Analysts, who have voiced skepticism that Opel could survive by selling only EVs, see Lohscheller's appointment as a positive move. "He is the guy who understands Opel's costs the best," Ferdinand Dudenhoeffer, director of the University of Duisburg-Essen's Center for Automotive Research, told the DPA news agency. Dudenhoeffer expects Lohscheller to push ahead with a "hard-nosed restructuring." This could include job losses after current employment guarantees run out next year. Opel, which has lost money since 1999, was close to profitability last year but the British pound's collapse following the country's vote to leave the EU and a weak Turkish lira plunged the automaker into a $257 million loss, a big improvement over the $813 million loss in 2015 but not enough for GM to want to keep the brand.